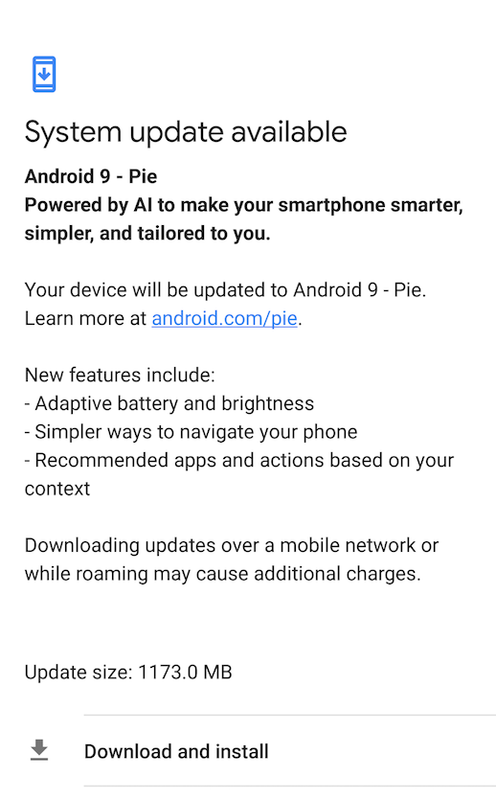 Analysis So little has changed in the latest annual update to Android, 9.0 Pie, you may be forgiven for thinking "8.2" is a far more appropriate release number. Even if Google wanted to do that, however, it's doubtful the OEMs would let it. The industry has to pretend there are huge leaps forward every year, even when there aren't. If you own a compatible device, the Pie upgrade can be performed in half an hour, but you'll need a microscope to notice much different about it. Despite the lengthy changelog – summarised here – this is the most minimal upgrade to Android yet (the second Preview release is pretty much what you get now). Well, almost. Within a few hours I found that Bluetooth was erratic, and the Samsung Gear app, for example, crashes on startup. But that's to be expected with a new platform release and it's far less disruptive than previous years. As with previous years, the plumbing has improved, but userland is left largely untouched. Both Google and Apple have a third rail neither can mess with. For Apple, it's evolving the UI beyond the familiar shell of grid icons it has had for a decade now. For Google, it's coping with the blizzard of notifications that completely defines the Android experience. Excitement mounts that this is the year the platform giant finally grapples with the issue. But neither is prepared to alienate its vast user base and do anything imaginative and risky, which is a pity. Google toyed with Notifications by introducing Channels, and developers and users could assign levels of urgency to the alert. You can guess what happened next. Developers insisted on being right in your face, and with so many clicks required to set "Importance", few ever bothered. There's a half-hearted attempt to introduce gesture navigation – but it's far from the "big bang" many expected in spring. 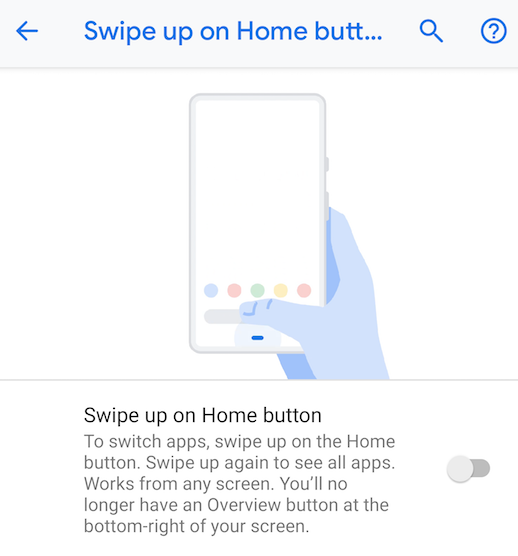 On my test Pixel 2 the new pill-shaped navigation popped up for a moment, before reverting to the traditional navigation bar all on its own. Google tried some fine-tuning over the summer, but the drawbacks of this method, which I described in detail in May, remain: it is simply easier to hit something that doesn't move. Gestures work well when you don't even have to look at the screen – but not so well when an intermediate object is required, one which demands precision. This may explain why Google is so low-key about the gestures pill. The use of machine learning to fine-tune display and battery management (which on my short experience with the final code is excellent) are features already found in other devices, and hardly any kind of breakthrough. In fact what "headline" features do exist are really about shoving more predictive ML into your life like an over-eager Clippy the Paperclip. App Actions "predicts what you'll want to do next based on your context and displays that action right on your phone, saving you time", according to the blurb, so that damn Paperclip will be on your case non-stop. The most attractive and potentially useful userland feature, Slices, is a kind of IPC which allows one app to inject content into another – like Microsoft's Cards. It's likely to be met with the same response. Outside of very formalised situations (they evolved from the great Bot flop of a couple of years ago), most responsible app developers don't appreciate foreign apps squirting things into their views. And the people keenest on squirting are generally not very nice people – malware developers. And it touches on a delicate area – the main beneficiary is Google itself. As Google itself acknowledges: "Next time you search for Lyft, you can see prices and driver ETAs right within your results." Those will be the Google search results, of course.